London Irish loose-head prop Tom Smallbone has signed a three-year contract extension with the club. 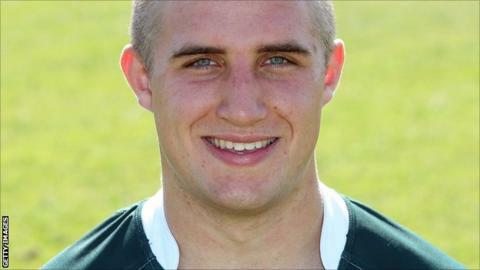 Smallbone, 19, came through the club's academy and has been involved with the Exiles since the age of four. The forward suffered a shoulder injury during pre-season which ruled him out of the current campaign. "Tom is a terrific prospect, we expect him to develop into an Premiership player over the next few seasons," said director of rugby Brian Smith. Smallbone has been involved in the England Under-18 set-up and was part of the successful squad that returned undefeated from Australia in August 2011. "I am delighted to sign a three-year extension," said Smallbone. "This year has been extremely frustrating, but I am looking forward to returning back stronger over the coming months."